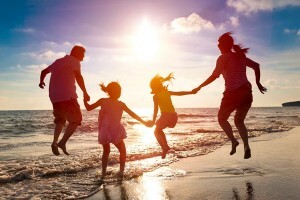 Family therapy works to promote positive family relationships that support and encourage each family member to work towards more positive thoughts and behaviors. It views any individual symptoms as occurring within the larger context of the family unit. In a family, each member has a role. Sometimes the role is not productive. By looking at the complicated, changing interactions that occur within a family, it is easier to help clients understand and address the individual issues that affect them and thus the family. The focus is often on the different systems within the family and how they interact. There are husband-wife systems, parent-child systems, and sibling systems. At the Life Mastery Center, Dr. Dean Kirschner uses a combination of the Strategic Family Therapy model, the Structural Family Therapy model, and the Systems Family Therapy model to help clients reach their goals. Since 1987, Dr. Kirschner has helped families throughout Maryland and southern Pennsylvania, including Baltimore and Baltimore County, develop more positive relationships with one another. In the brief social stage, Dr. Kirschner observes family interactions and tries to get everyone in the family comfortable with taking part in the therapy. In the problem stage, Dr. Kirschner attempts to understand what problems have brought the family in for therapy. In the interactional stage, Dr. Kirschner encourages the family members to discuss their problems. This helps to not only better understand the issue at hand, but gives a better understanding of the family dynamics. In the goal-setting stage, issues that need to be addressed are identified and goals for addressing those issues are defined. In the task-setting stage, manageable tasks that will help the family work toward the larger goals are outlined. In the Structural Therapy Model, a therapist seeks to immerse himself in the family system in order to better understand the rules and structure that guide it. The ultimate goal is to prevent negative interactions and sequences from recurring. With a better understanding of the hidden structure or hierarchy within a family, a therapist can seek to disrupt dysfunctional relationships and replace them with healthier ones. Systems Family Therapy is an approach to therapy that makes use of systems thinking. Systems thinking is a broad term that is defined by appraising parts of a system by viewing them in relation to the whole. As it applies to family therapy, systems thinking looks at an individual’s thoughts, emotions, and behavior as being motivated by and inseparable from the entire family unit. Couples affect individuals, individuals affect couples, siblings affect parents, and siblings affect siblings. In the Systems Family Therapy Model, we look at all these different systems and how they affect individuals and the family as a whole. Ready to make a change? Contact the Life Master Center today for more information about family therapy.